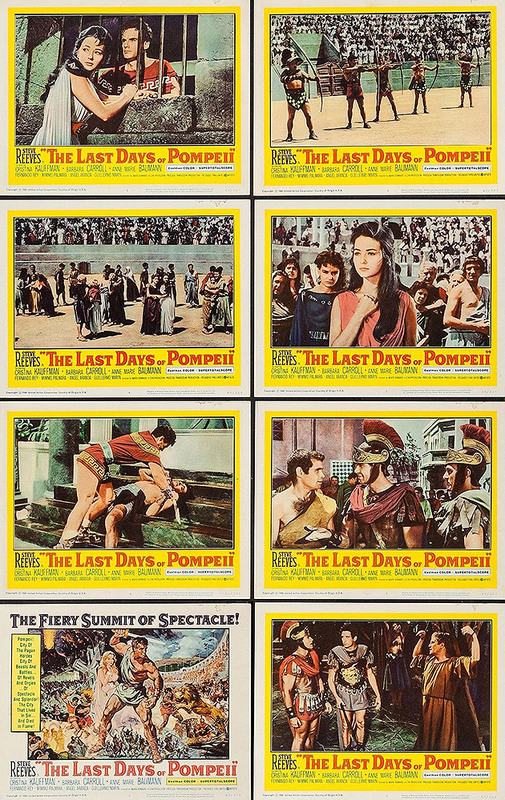 US lobby cards set for THE LAST DAYS OF POMPEII (1959): very good set if a bit repetitive (3 scenes from the arena?) but it does give a good overview of the film. Colorful and good shots of Steve and Christine Kaufmann and one with Mimmo Palmara. I like it but it needed one showing the destruction of Pompeii.